Freesat expands with Smooth Radio and GOD TV | What Hi-Fi? Freesat is adding Smooth Radio to its line-up of 140 channels, complete with resident DJs Tony Blackburn, Andy Peebles and Graham Deene. But that's not all. More treats are in store with the addition of GOD TV, a 24-hour line-up of Christian programming now available on Freesat channel 694. Established in London in 1995 as Europe's first daily Christian TV network, it now claims to be the leading faith-based channel in the UK. "GOD TV is committed to providing British viewers with the highest standard of Christian programming," says GOD TV CEO Rory Alec. 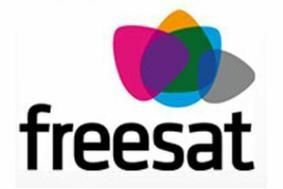 "Freesat will enable more viewers in the UK to experience our unique schedule, with the added bonus that it has no subscription fee or monthly bills." We wonder how GOD TV will sit alongside Freesat's 'Adult TV' channels including Babestation and Filth.